This summer, ComEd is hiring more than 250 students through its annual summer internship program providing local teens with hands-on job training and career experience. ComEd is committed to engaging its future workforce and partners with a number of schools and nonprofit organizations to offer local students valuable work experience through internships, apprenticeships and other educational programs. 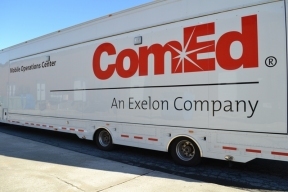 As part of ComEd’s summer internship program, more than 150 college and high school students will be assigned to various departments across the company for a three-month period. Participating students gain hands-on working experience that they can take back to the classroom when they return in the fall. The job experience also serves as a window into careers and employment opportunities in the energy industry. Five student ambassadors who participated last summer will return to work as interns this year, a position that reflects the advanced skill level and commitment they have displayed throughout the program.